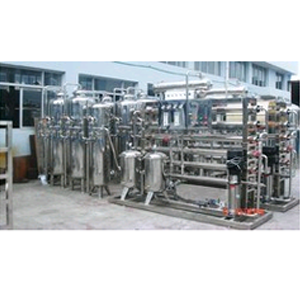 We are offering industrial water treatment systems at best prices and with installation support. Industrial water includes the water which is acquired from wells, surface and city sources. This is used for warming, cooling, washing, flushing and many other procedures — but note before its frequent treatment. This is because the equipments needs to be protected with the harms of untreated water and the overall cost needs to be minimized. Minerals and microscopic organisms in source water can lessen the effectiveness and working existence of boilers and different frameworks. What's more, if water is utilized underway procedures, contamination can straightforwardly influence item quality. We are offering superior quality water treatment systems for all businesses. We offer finish turnkey arrangements from pre-treatment to essential demineralization, cleaning, and wastewater processing.